Exactly one year ago today, I contributed a hundred bucks to a Kickstarter project called Cast Iron Skillets by Borough Furnace. I wrote about their sustainable approach and ergonomic design in a previous post. They've gotten their foundry up and running in Syracuse, New York, and are now cranking out cast iron goodies. As a thank you for helping them get off the ground, I received two cast iron bottle openers. As you can see in the photo, these aren't your standard "church key" bottle opener. They're more the sort of thing that would open the Temple of Thor. In a quick quality assurance test, both bottle openers performed flawlessly on bottles of Stone IPA. Good work, fellas! I look forward to seeing you guys get into production with your cookware. Keep a close watch on those openers. The Borrowers living in your cupboards might steal them and turn them into some badass axes. Just to let you know, changed my avatar name and the name of the blog, still covering cast iron cooking and brewing. Thanks for the note. I look forward to more posts on brewing and stewing! I remember seeing the Kickstarter page for Borough, but wasn't really doing much cooking then, so discounted it. Wish I'd read it through and seen the bottle opener. 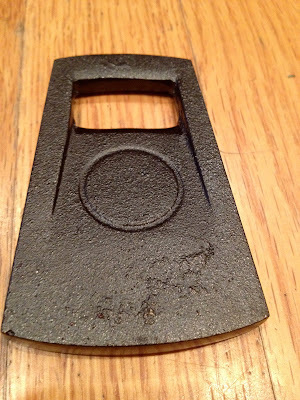 Looking at their page now, they're shipping the bottle opener, but its cast aluminum now. Bummer. Will have to bug them about doing it again in cast iron. For other stuff, I've been fiddling with my cast iron on/off for a few years. Just in the last few months I've finally started cooking far more than I used to, and I'm loving my skillets. They're all acquired from family or garage sales. My favorite has a nice machined surface. Wish they had some casting marks, be able to tell where they came from. I've been going through your whole recipe list, some great stuff there. Did the popcorn last night in the dutch oven, was great. Look forward to more good stuff. 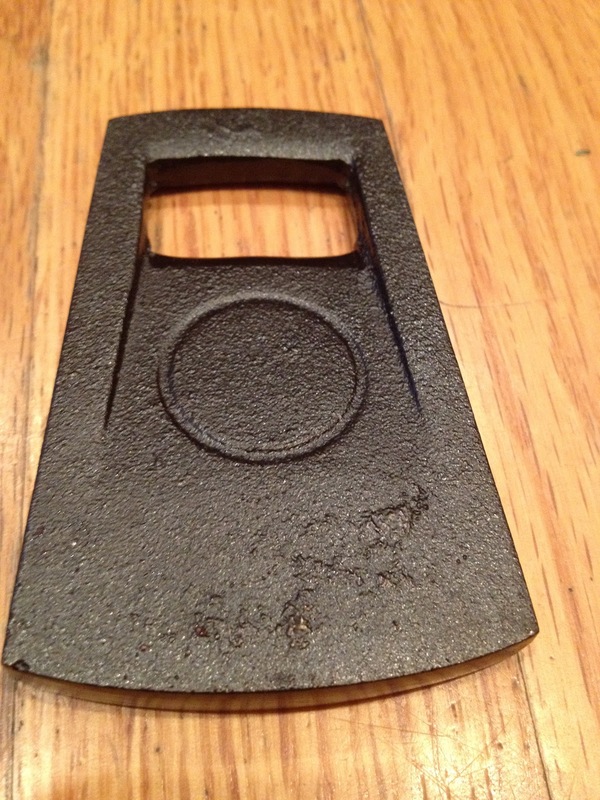 Hadn't heard that Borough Furnace has gone to cast aluminum for the bottle openers. I suppose that lightens things up if nothing else! Enjoy the recipe list... and let me know if anything is unclear, or (hopefully) exceptionally tasty!